Beach photos from Cannon Beach and the West Coast of America. Beautiful seascapes include Washington beach photos, Oregon beach photos and California beach photos. Images of vibrant sunsets, stunning reflections and bountiful sea life. 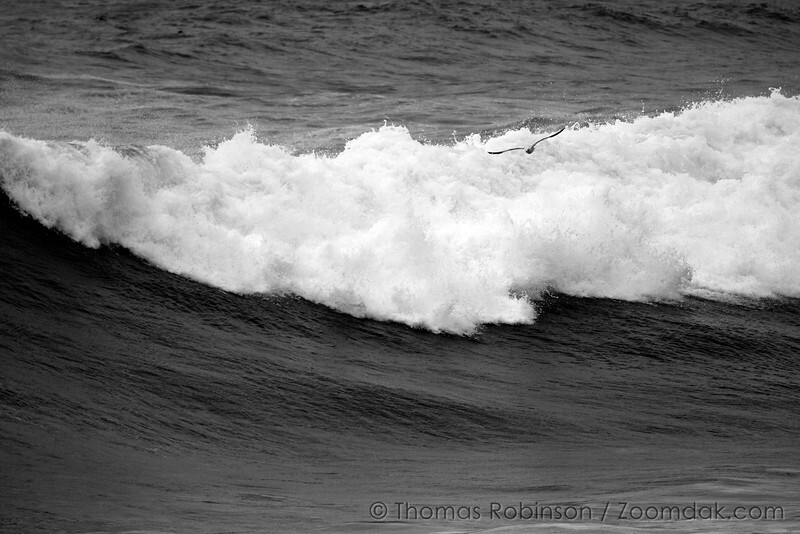 A lone Pacific Gull (Larus pacificus) soars above the giant waves of Shore Acres State Park on the Oregon Coast. Join our monthly email newsletter for exclusive updates!